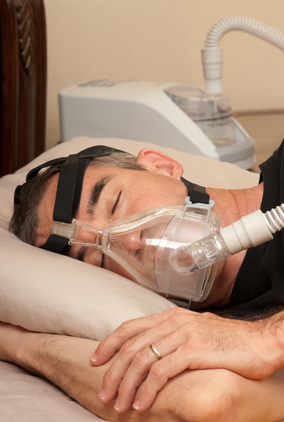 North Jersey Therapy and Diagnostic Center provides CPAP (Continuous Positive Airway Pressure) devices that treat sleep apnea caused by collapse of the airway due to obstruction or other causes during sleep. 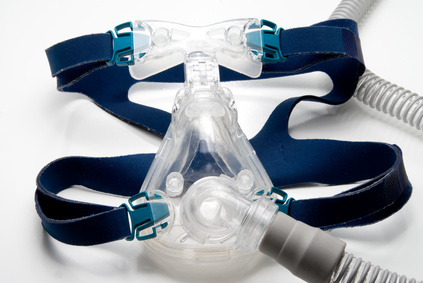 The collapse of the airway is prevented by using positive pressure to keep the airway patent during sleep using a mask that is fitted for each patient. 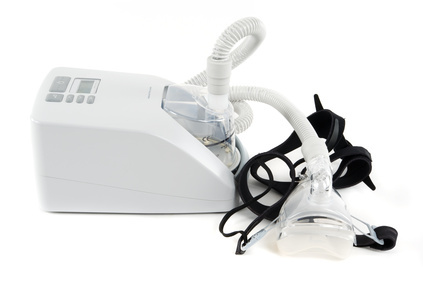 A CPAP set includes an airflow generator, humidifier, tubing, and mask. VPAP(Variable Positive Airway Pressure) & BIPAP (Bi-Level Positive Airway Pressure) devices are similar to CPAP in maintaining airway patency except pressures can be either variable or dual as opposed to a single continuous airway pressure. These devices are meant for patients with more severe cases of sleep apnea. BIPAP ST devices are similar to BIPAP in that they deliver two pressures to the patient; a higher pressure during inhalation and a lower one during exhalation with the addition of a back up rate to ensure the patient will receive a minimal amount of respirations in a fixed time. These devices are intended for patients who have a combination of Obstructive Sleep Apnea and Central Sleep Apnea. APAP/AUTOCPAP/AUTOPAP are devices that automatically titrates the amount of pressure the patient needs to maintain airway patency by measuring airway resistance on a breath to breath basis. Humidifier is a device that adds moisture to the air being inhaled by the patient. This is to alleviate drying of the upper airway and makes for batter patient comfort and compliance. Heated circuit is a special circuit that allows the patient to set an air temperature to their comfort level while maintatining a consistent humidity without any condensate forming inside the patient tubing. Masks – We offer a variety of masks that vary from nasal applications to full face to hybrids that enable us to meet each individual patient and specifications. We have a program that replaces the disposable parts of your machine on a regular basis, usually every 3 to 6 months. This will ensure proper function of your machine as well as promote good equipment hygiene. Included in the maintenance package is a new mask ,tubing, filter, headgear, and water chamber for the humidifier. These supplies can be picked up at our office or mailed to you as per your request.